Master WordPress Instantly with This Powerful Training. No matter if you want to work on your own site, or create pro sites for others, this is THE training to do that. What Can You Create With WordPress? Just about any type of website or webpage... If you know how. Ori takes you step-by-step through everything you need to know. One of Ori's first students was a computer-illerate Boomer. But before long, this boomer could create professional websites. You can too. Just sit back and let Ori provide you with everything you need to know in order to be able to set up professional websites. Ori has now taught thousands of people how to do it. His secret? Taking something that would be overwhelming and technical, and making it fun and easy. Yes, you are never too old to have fun- and if you enjoy something, you can learn at great speed. Take control and learn how to create a Pro website … FAST! Whether you're trying to build a site for yourself, hire or train someone to build or update your site(s), or even if you want to charge others for making them websites like Ori. You can be the one charging the big bucks for pro sites, and Ori shows that too. Make WP easy gives you the missing pieces of the puzzle you need to finally make this happen--all without writing or learning one line of code. The training is broken down into 8 modules each with lots of easy-to-follow video courses. Not only will you master Wordpress itself after you do this course, but all kinds of related things that it takes to get a site online, including cPanel, name servers, Filezilla, Cloud Backups, Google Analytics, FTP, and all the other weird techno-babble you hear web designers talk about. Its really easy if you learn it Ori's way! Ask questions and get answers and feedback fast! Like having your own personal WordPress Coach! The course as is is already amazing. But the rules of the game change and sometimes you just need to ask a question. All members will get full access to an exclusive Facebook group where you can ask other members and WordPress experts for advice and opinions, and even get feedback on your sites. Knowing WordPress is empowering. You can put together anything yourself—you can project manage employees, and like Ori, when you are running low on cash traveling the world crashing on others' couches you have a skill that you can immediately turn into income. We can help you achieve your goals. The first 25 people will also get additional training. Ori has spent most of the last ten years traveling. He calls it couch surfing, but that is another story for another day. By traveling from city to city basically doing whatever he wants, whenever he wants, gives Ori a sense of freedom few people get to experience. That said, couch surfing does have its associated costs. His solution to having income while still being able to travel and party (yes, he's a bit of a partier too) was to make websites for others in his down time. He did this in WordPress and it gave him the ability to couch surf and make some money when he needed some. He has also used his web skills to help charities, or friends in need. Whether you're trying to build a site for yourself, hire or train someone to build or update your site or even if you want sell websites to others like Ori and be the one charging the big bucks for pro sites, Make WP easy gives you the missing pieces of the puzzle you need to finally make this happen--all without writing or learning one line of code. Now what makes this program different to any other program out there, is that this isn't just a collection of ideas or principles. It's a simple, step-by-step FORMULA. All you need to do is watch the video, apply the information and you WILL get results. Also, unlike all those boring videos on YouTube, Ori makes this fun, and not boring.... Remember, this is THE EASIEST WordPress Course in the Universe. The secret to Making new pages or blog posts for your website in seconds. How to Change almost anything you want on your website without having to wait for (or pay) a designer. How to Make a good living launching WordPress sites for clients. You can be your own marketing agency! These easy-to-follow videos (over 70 in all) organized into 8 modules will take you from absolute WordPress beginner to having a professional website. It's so easy, even a 9-year old can (and DID) create a professional website. In this module, you will learn many of the most important things for getting started with a website. Simple, yet important, this is the foundation of understanding how to get started. Ori shows you how to plan what your site correctly – so you save tons of time. When you’ve got your site planned the way Ori shows you, you can get a site done in days, rather than months. Having a car is useful. Having a car that’s running well (working brakes, speeds up when you need it to, AC works, etc) is even better. The same applies to your website, and Ori shows you how to make it run better. This is where we cover the things that really make your site do what you want it to do…. Plugins, sidebars, widgets, contact forms and more. Truly, this is most people’s favorite module, because this is where you make your site look however you want it to look…. and quickly. Colors, images. This is how you make it your own! You could have the cure to cancer, but if no one knows about it, you won’t be saving lives. This module gives you the HOW and WHAT of sales pages and squeeze pages, and ways to make WordPress help you get the word out about your business. An important aspect of SEO is making your website easy for both users and search engine robots to understand. This module covers what you need to know, and how you can have WordPress automatically help you with your SEO. This module covers some of the technical points that may not come up often, but when they do, you need to know what to do. This module is a great reference tool for you. Sit back and take a seat with Ori Bengal, who will show you in a very simple way all the step by step things you need to know. Fire your designer if you want, or at least don't get fooled/confused by their techno-babble. Make any new page or blog post for your website in seconds. Change almost anything you want on your website without having to wait (or pay)for a designer. Start a network of websites if that is what you want. Make a good living creating WordPress sites for clients. You can be your own marketing agency! 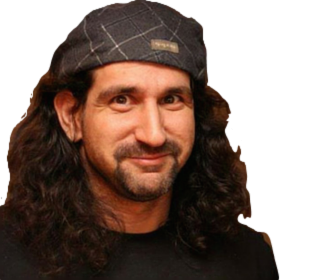 Let Ori, leading WordPress Expert, show you his proven techniques that thousands have used to quickly and easily create professional websites - even if you are totally techo-challenged! Watch the videos below for some real proof. Here's the REAL proof, including the one from 9-year-old Haylee that I promised. We're offering it for just two easy payments of $97. PLUS: Two extra bonuses if you act now. In the past the only way to create professional sites was to hire a developer and spend thousands of dollars to have them build a custom system for you. We created Make WP Easy because we understand that a lot of people just can't afford to fork out thousands of dollars every time they have an idea and want to put it on the web. So, for a strictly limited time, if you grab your copy of Make WP Easy, you can get it for two payments of just $97. Keep in mind we will be releasing version 2.0 shortly and you will get FULL access to that training too. Lock this in now before it is too late! 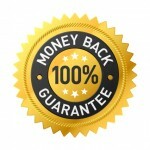 Full 30 day money-back guarantee. This is a no brainer. It's a simple, step-by-step FORMULA with everything you need to know. Take this simple course that condenses down everything Ori has learned about wordpress to finally make it simple and easy for ANYONE. No fluff and no B.S. You will not believe how simple it is, after watching these amazing videos! Don’t let the sheer size of this course intimidate you. Many of the videos are very short, and they are designed to get you up and running quickly and easily. It is truly, the best of the best there is, and the system and course is simple and FAST to learn so you can implement this information immediately. Simple Secrets to Make WordPress FAST! Your purchase of Make WordPress Easy is the only thing standing between you and success with WordPress, and all that the WordPress universe can offer. Remember that WordPress is increasingly becoming a prerequisite to launching almost any type of site on the web. Don’t be left out in the cold! PLUS you also get access to Make Selling Websites Easy (a $297 value) and a year of FREE updates. Do I have to be good with computers? Absolutely not. Many of Ori's clients are completely computer illiterate. If you are viewing this page in a browser, you're already half way there! Ori has simplified many extremely technical things (such as 3D animation, photography, video editing, Photoshop, and more) into easy to understand bites. Ori's specialty is not just making things simple, but also making them fun- so you will not be overwhelmed-- and even if you are, you have a facebook group where you are encouraged to ask questions. Can I really create professional looking websites? Absolutely. Ori used the exact steps that he covers in his courses to create hundreds of websites both for himself and for his clients. After going through the online videos, you'll be able to take that knowledge and immediately start launching your own, professional looking websites (In fact, quite a few of Ori's students have decided that they make more money, and have more fun making websites than they do in their jobs, so they quit their jobs, and now make websites on their own time). The course is awesome and covers everything that you will need to know. You could spend days and weeks interviewing web designers, security experts and WordPress theme designers and still not have the concise instructions that are covered in these video courses. However, just to put your mind at ease, we also created an exclusive Facebook group where you can post your questions to other members and WordPress experts and get feedback and advice. Does the course really work? 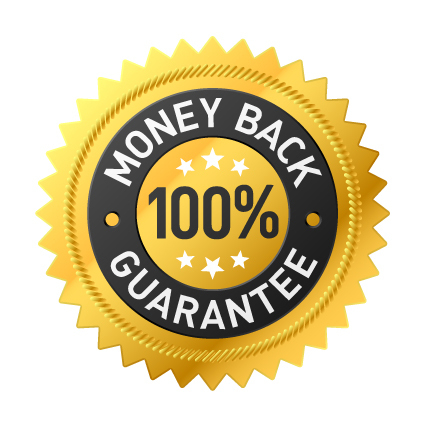 There is more real actionable information in this course than you’ll get reading a dozen books, the systems and tutorials inside the members area has worked for thousands of other people just like you, it’s 100% guaranteed so you can’t possibly lose money. It’s a no brainer.